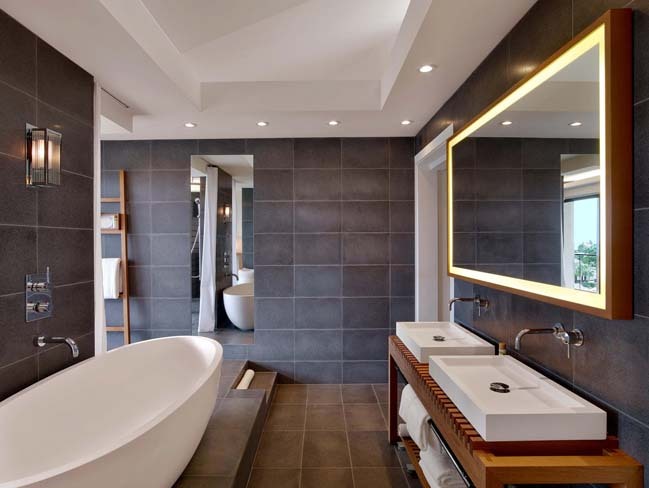 These luxury modern bathrooms were used to transform bathrooms into an oasis of refined elegance and calm at ANdAZ Maui resort by Apaiser. All Apaiser’s stunning stone bathware exemplifies quality contemporary design and unmatched attention to detail. Each bathroom features beautiful organic wood slat vanity stands with custom apaiser stone Ramp vanity basins and custom apaiser Seascapes freestanding bathtubs with no base. 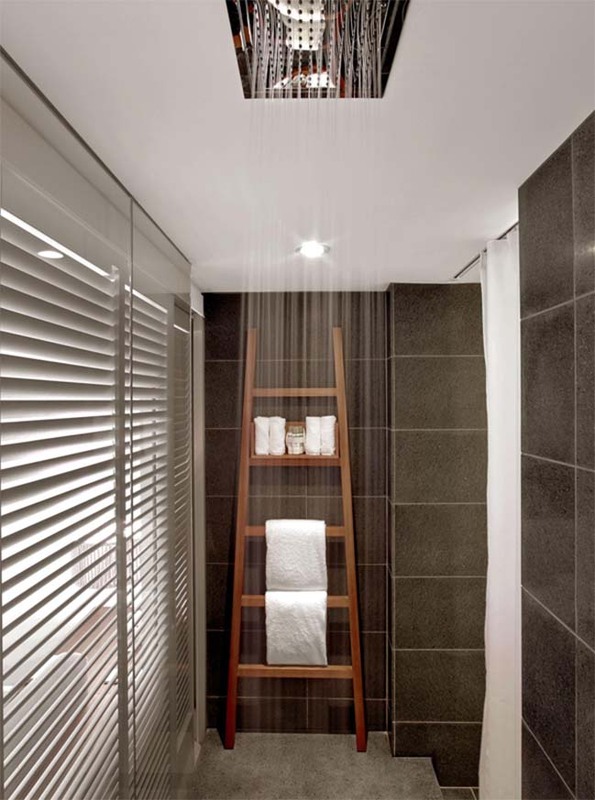 Perhaps the most striking element to the ecofriendly luxury bathrooms though are the huge custom shower trays, some over 3 metres in length, complemented with rain shower ecosystems. 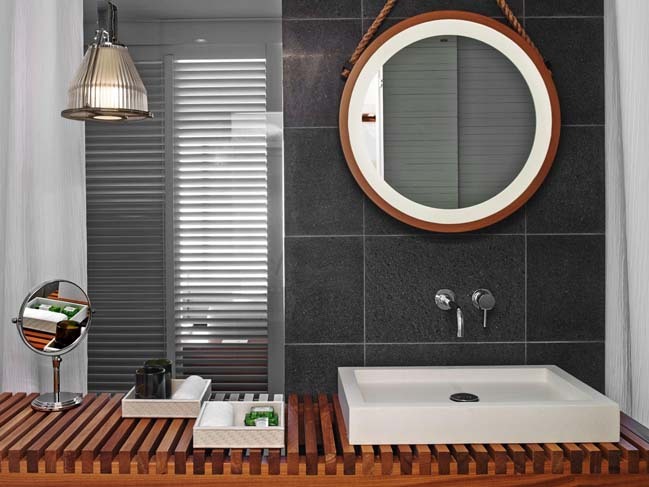 Bathroom shutters in a whitewashed oak open up to a direct view of the ocean and maintain the light and airy quality of the resort. 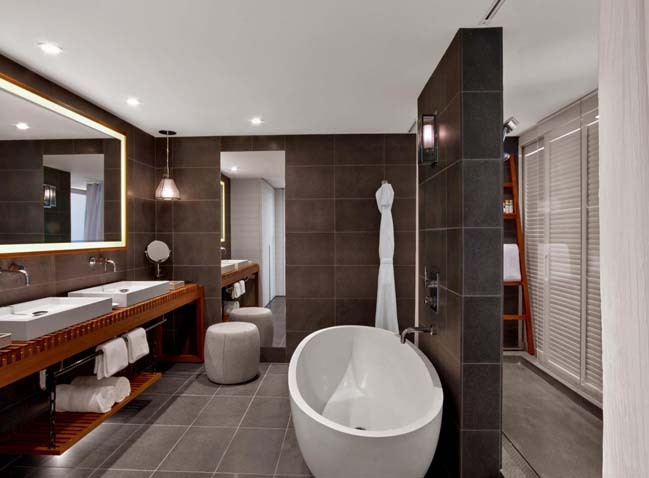 The modern bathroom design really connects guests to the water and embraces the importance of water in Polynesian life.